Carolina Rain – Carolina Rain is not just a read, but an experience. You will smell the magnolia trees, feel the sun on your face and taste the bittersweet tears of a beautiful young girl coming of age at the dawning of the Civil War. Theodosia Elizabeth Sanders, “Lizzie” was born October 6, 1842, but in many ways, she is no different than a modern young woman of our era. Her open heart is filled with hope and a desire for love. Yet, her innocence makes her a target for the less than trustworthy. See how this remarkable young woman rises above all prejudices to embrace the hearts of her true friends. Carolina Rain a fiction novel base on history is a real page-turner, filled with the intimate details and an eyewitness accounts of The War Between The States. You will laugh and cry with “Lizzie” but most importantly you are sure to find a little of Lizzie in yourself. Beyond Sandy Ridge – As The War Between the States closes in, Lizzie flees her home leaving behind her hopes and dreams. She finds a new home, where finery and social graces will buy nothing, not even friends. To the people of Stanly County, North Carolina, Lizzie is a familiar story. She is just another young widow with a babe in her arms. Her secret past will forever be buried deep in the sandy soil of Charleston. Beyond Sandy Ridge is one woman’s journey of survival, a collection of her most intimate desires and her passion for a man named Joel. Many of those she loved are forever silent. It was for their sake, she found the courage to tell her story. 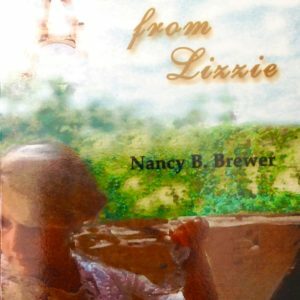 Lizzie After the War – “Lizzie,” is the story of her life after The War Between the States. 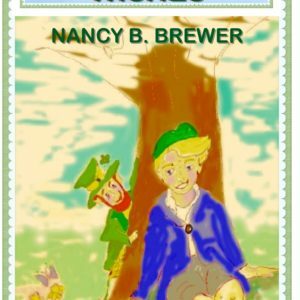 Relive her journey from plantation princess to the cotton mills of Concord, North Carolina. In her voice you will hear unfold the years of reconstruction, women’s suffrage, child labor and the beginning of the industrial age. Lizzie is to find life’s greatest treasures are the people you love and the people that love you. She is graced with the wisdom to accept change and adapt. She is a wounded woman, but understands there is healing in new beginnings. Lastly, her heart tells her to believe in the future and expect the unexpected. 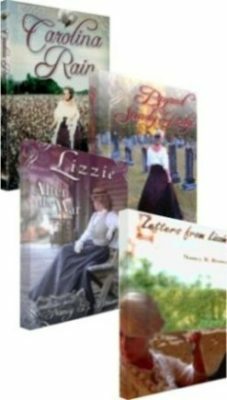 Letters from Lizzie – Come home to North Carolina and revisit old friends as the pages of history unfold. You shall travel with Lizzie across the sea to witness the end of the Victorian Era. 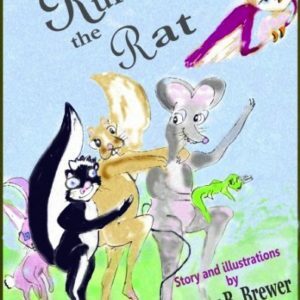 Intertwined in a mix of facts and fiction, the author masterfully creates exciting plots and introduces new intriguing characters. In 1896, the War Between the States was over. Those too young did not care to hear about it and the old folks tried to forget. Perhaps, humans will never learn that it is through the past that we shall clearly see the future. The world was getting smaller. People were sending international telegrams and talking on the telephone. Traveling was the new sport; one could ride in a motorcar, take a fast train or board a steamship to new places. Yes, it was the dawning of a new age with inventions to make life easier. Or did it? With modern times on the horizon, the past moralities were old-fashioned. There was a new way of talking and dressing and women united to find their rightful place in the world. Oh, but there were those that clung to the old ways. They made a living off the land six days a week and lived for the Lord on Sundays. They were holding tight to the days when men were brave and women were gentle. Don’t have a PayPal account. The PayPal link will allow you the option to use your personal credit card. Or call 980-622-5177 for direct orders.